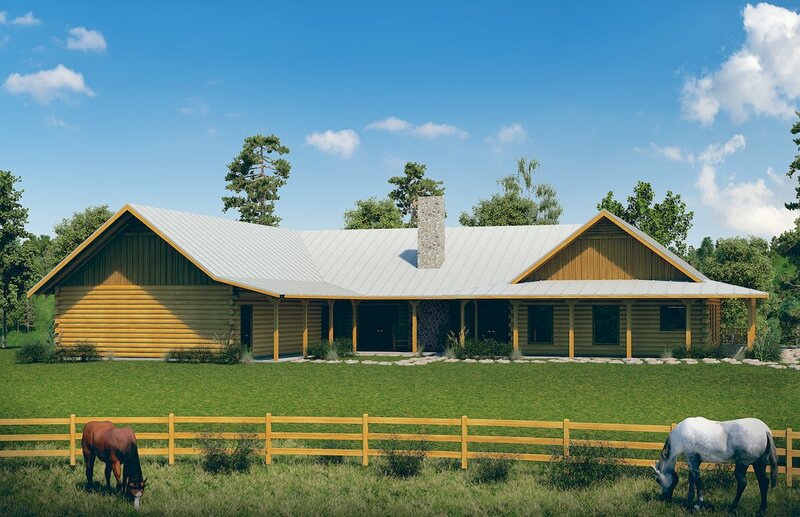 The new San Jacinto is a revised and updated classic Satterwhite log home floor plan that presents an appealing symmetrical front elevation on the approach side of the home along with a highly functional layout of bedrooms that is perfect for growing families. 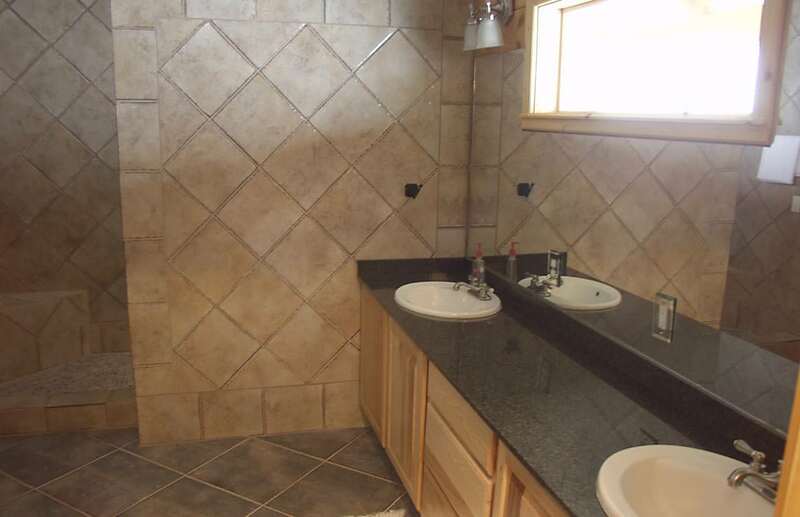 The master suite features a large walk-in closet along with an appealing and luxurious master bath. 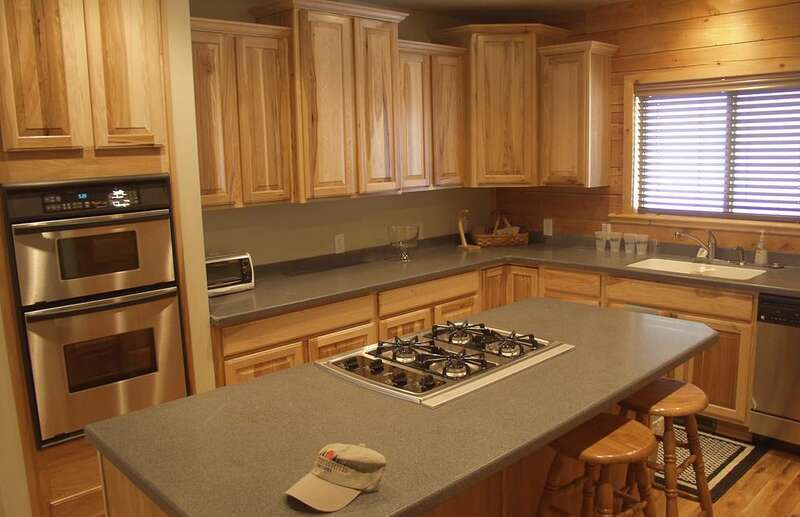 Also incorporated into this wing of the home, a kitchen featuring an island cooktop and raised bar, a large pantry, a utility room and laundry, dining room, wet bar, and two car garage -- all certain to be at the center of daily life. 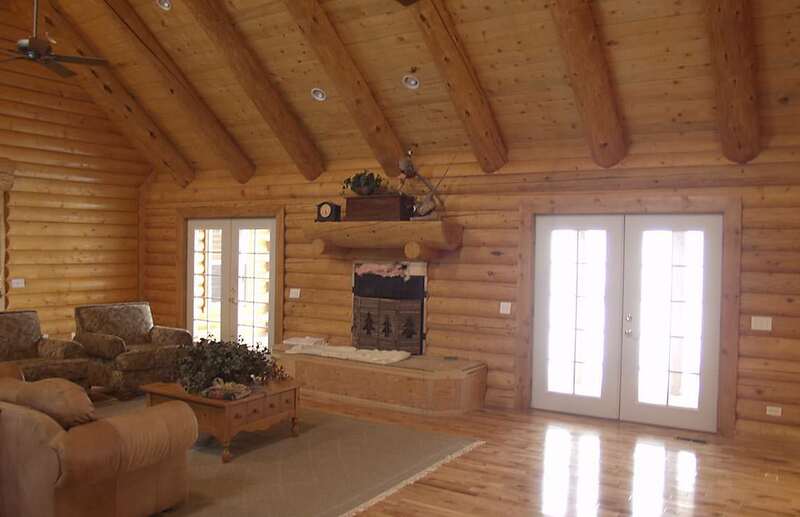 The family room takes center place in this large family home. 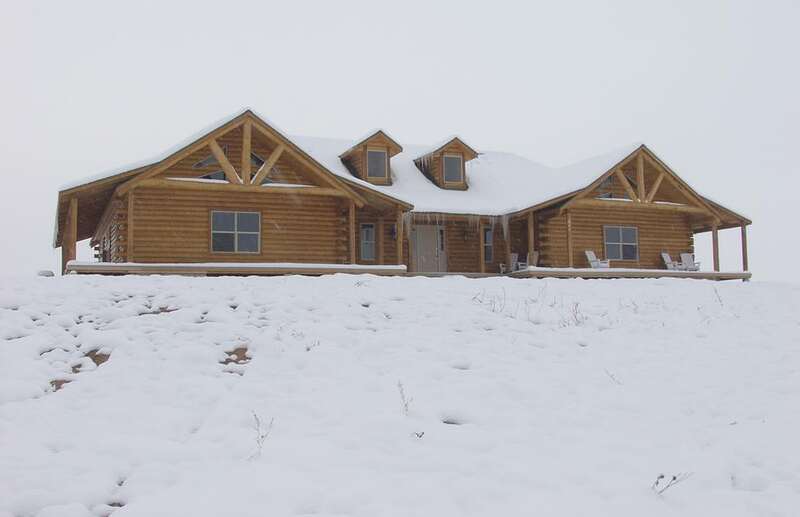 On the opposite wing, you'll find three bedrooms complete with three full baths, plus a half bath for guests convenient to both the family great room and to the outdoor spaces beyond, accessible by two sets of French doors to either side of the family room fireplace. 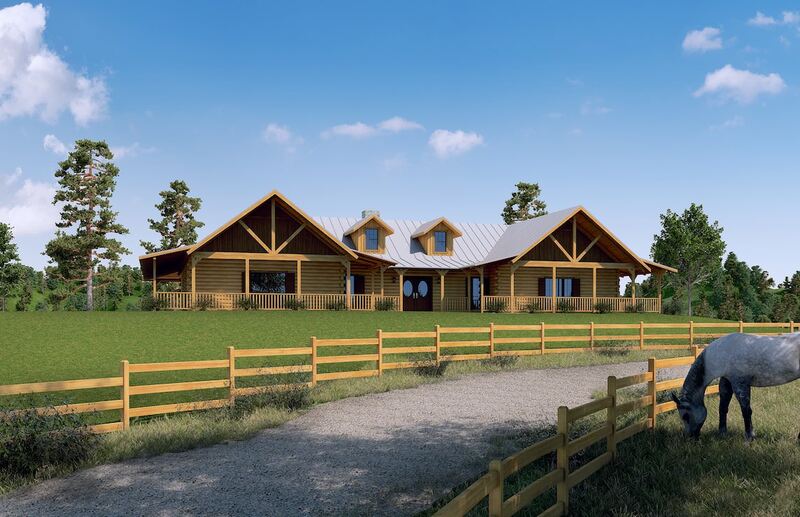 Note: Photographs illustrating this plan are of the earlier San Jacinto design in the final stages of construction. 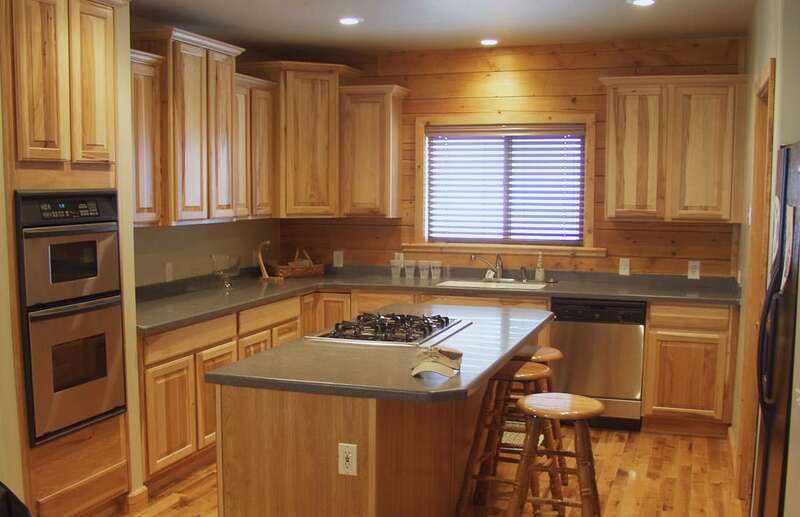 They reflect considerable customization, something Satterwhite is always willing to accomodate. 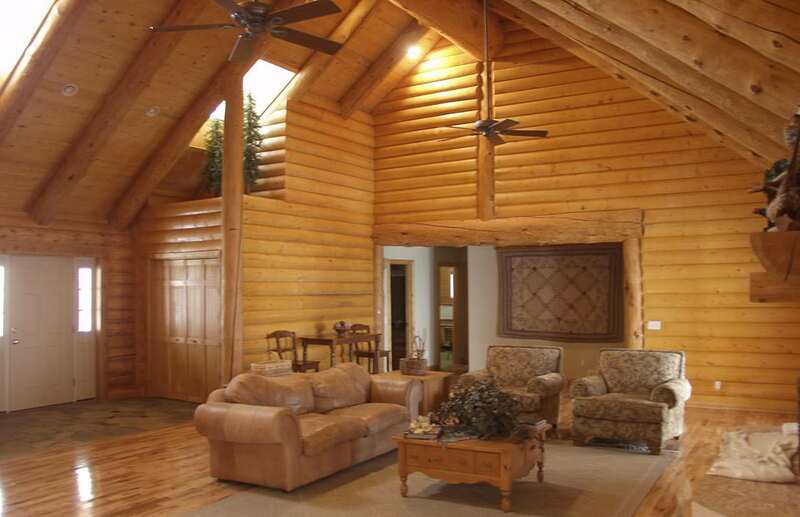 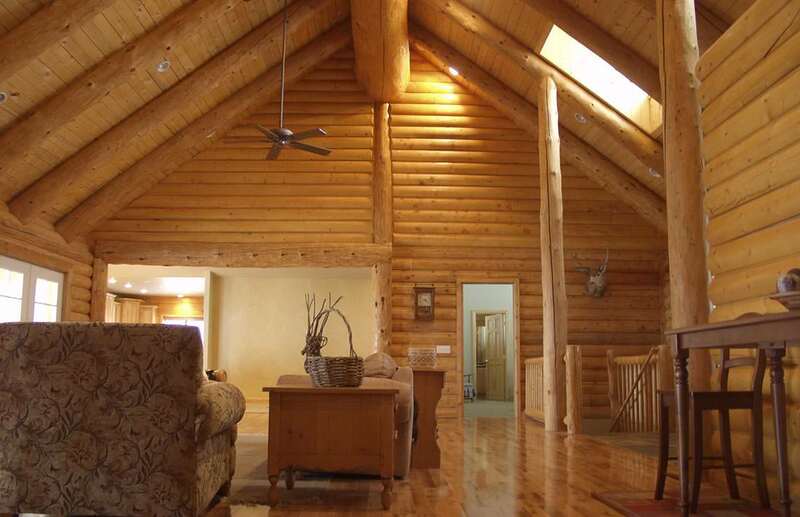 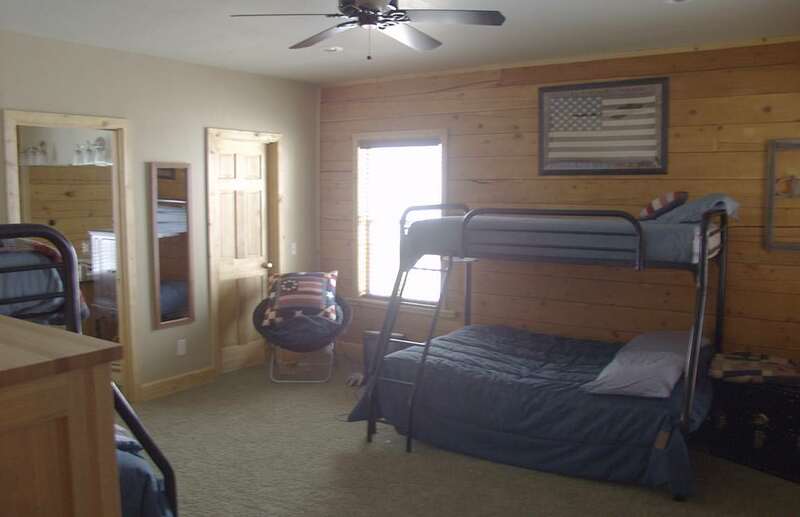 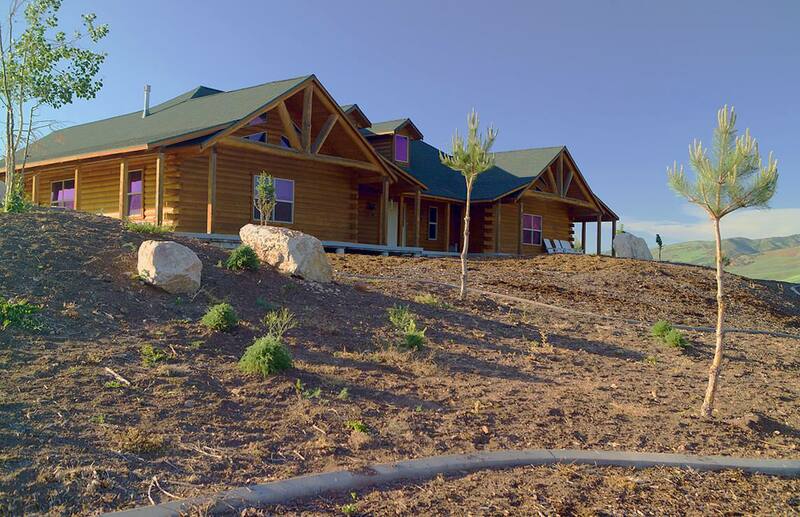 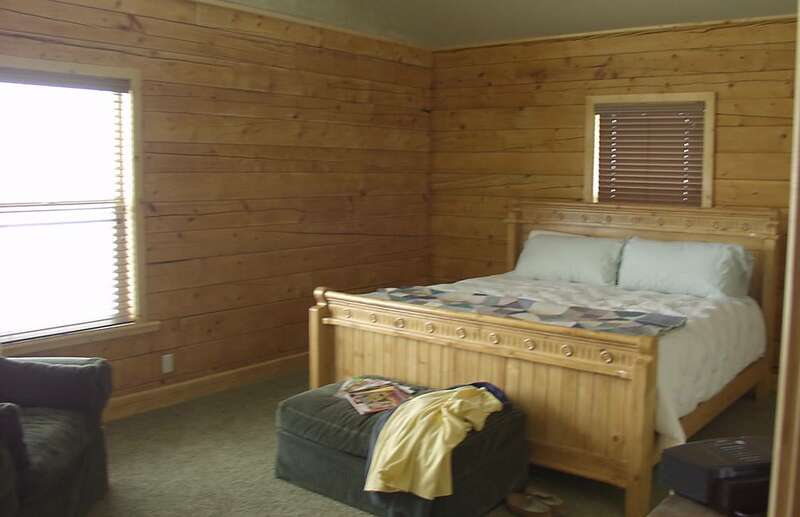 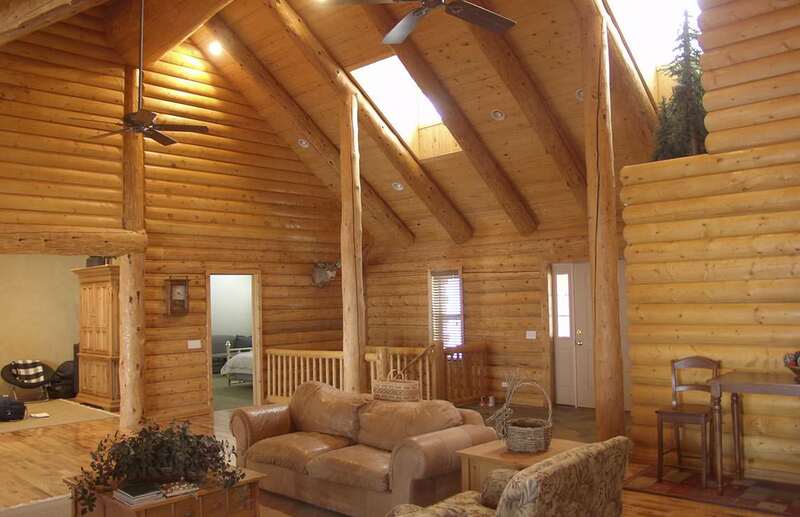 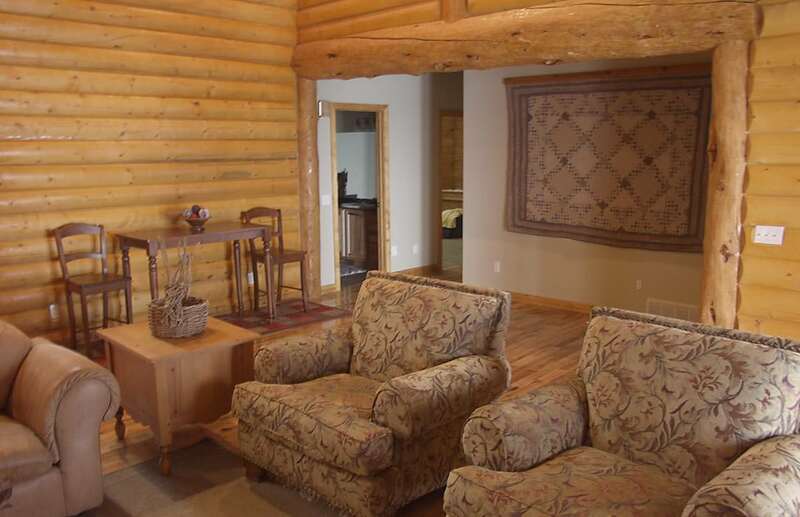 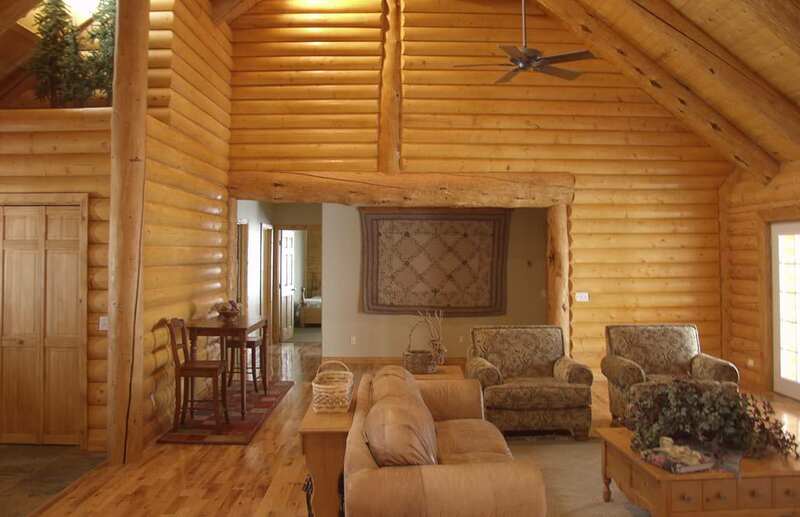 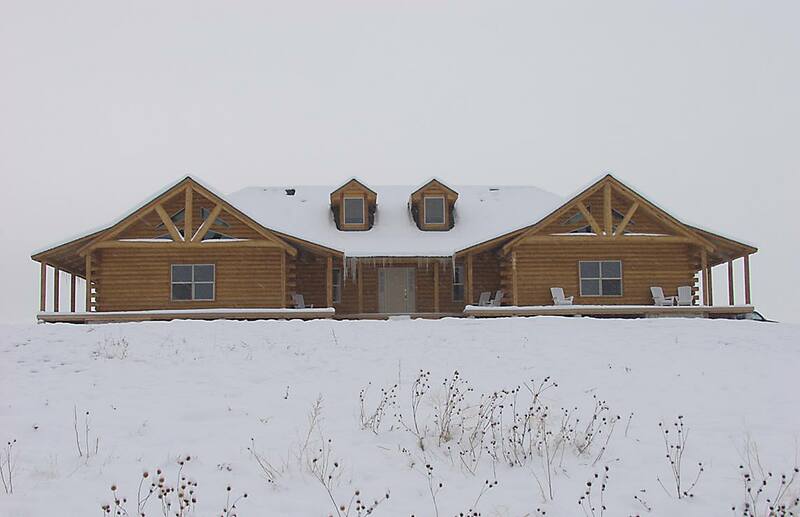 Satterwhite published floor plans are just a starting point for your log home dream!